Yet the practice is deeply unsustainable. Every year, in laying their dead to rest, Americans bury approximately 73,000 kilometers of hardwood boards, 58,500 tons of steel, 1.5 million tons of concrete, and 3.1 million liters of formaldehyde. A typical four-hectare cemetery contains enough wood to construct 40 homes and sufficient volumes of embalming fluid to fill a backyard swimming pool. As the Baby Boomers start to die, these environmental impacts are only going to grow. Coutts is the lead author of a new paper examining the benefits of a greener alternative to the traditional rituals of death: natural burial. While higher-density family vaults can reduce your environmental footprint compared to an individual burial, it’s still a high-impact way of shuffling off your mortal coil. Even cremation, which has doubled in popularity since 2000, leaves an environmental smudge on the Earth, thanks to its high energy consumption and the ensuing air pollution. Increasingly, Coutts et al. have found, people are rejecting the lawn-park cemetery model, and instead choosing to commit their bodies to a wilder resting place. In most cases, this means eschewing traditional American funerary rites altogether and burying the body without chemicals in a biodegradable casket or a simple shroud. 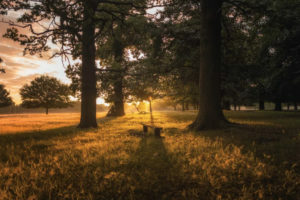 At its best, natural burial allows your death to leave almost no physical damage on the natural world, while helping to protect and conserve threatened landscapes for those still living. One example is the 142-hectare Glendale Memorial Nature Preserve in Florida, a family farm located in an area full of endangered native longleaf pine and wiregrass. The plan for the cemetery called for 80 percent of the land to be restored and conserved as natural habitat, with around 28 hectares set aside for natural burials. Add-on items include coffins constructed from old bookshelves, while the conserved habitat is also available for recreational activities including hiking and camping. Telling ghost stories remains optional. John and Bill Wilkerson, the brothers who run the business, say that the income they’ve generated from the burials has allowed them to resist the financial pressure to sell the land to developers—a proposition that was adamantly opposed by their late parents. The lawn-park cemetery in America might feel like an inescapable ritual, but the idea is relatively recent, arising in the 19th century, as urban elites grew increasingly affluent. Rural cemeteries like Mount Auburn in Boston or Laurel Hill in Philadelphia were not only useful for memorializing the supposed importance of the deceased bourgeoisie, but also for providing their surviving relatives a pleasant getaway from increasingly crowded cities. The practice of embalming grew popular around the time of the American Civil War, Coutts adds. “They needed to preserve and ship the bodies back to wherever they were going to be buried, and embalming became prevalent. It’s the common expected practice, but it’s really just people going through the motions: It’s what we’ve always done, it’s what we continue to do, but that’s changing,” he says. This resource-intensive method of burial is far from universal across the globe. Muslim communities practice natural burial as a “basic religious obligation,” according to Coutts and his fellow authors, while in countries such as Australia, grave sites can be reused for new inhabitants after a certain amount of time has elapsed. In the Peruvian Amazon, before the arrival of Christian missionaries, bodies were lain among the buttress roots of large trees. Some Tibetans practice sky burials, placing the corpse on a mountain and allowing it to decompose gradually. The first natural burial site in the U.S. was established in 1998 in South Carolina. There are now 162 natural-burial providers in the U.S., of which 99 are hybrid cemeteries, offering both natural and traditional burial. A further 54 offer exclusively natural burial, while nine are active conservation burial sites. Yet America’s lucrative death-care industry is fighting back, determined to protect a billion-dollar market by perpetuating the idea that a resource-intensive funeral is the only guarantor of lasting peace. Indeed, hybrid burial sites are mostly a way for the sector to cash in on the growing popularity of natural burial, a form of greenwashing that offers little in the way of concrete benefits, says Joe Sehee, who founded the Green Burial Council, which certifies natural burial sites, in 2005. Perhaps more sinister than this greenwashing are the attempts by the funeral industry to lobby for new regulations that will protect its economic position. There are very few federal laws around the handling of the dead, with states and local governments generally left in control. Around half of U.S. states regulate the amount of time that a body can remain un-embalmed, yet no states require a body to be buried in a coffin. Only a handful of states forbid bodies being buried outside of established cemeteries. This loose legal framework bodes well for natural burial, and badly for Big Funeral. Correspondingly, the mainstream funeral industry has lobbied state governments to pass legislation protecting its share of the market, such as mandating embalming, only permitting burial in established cemeteries, and requiring the involvement of a licensed funeral director to perform tasks that could ordinarily have been performed by the next-of-kin. 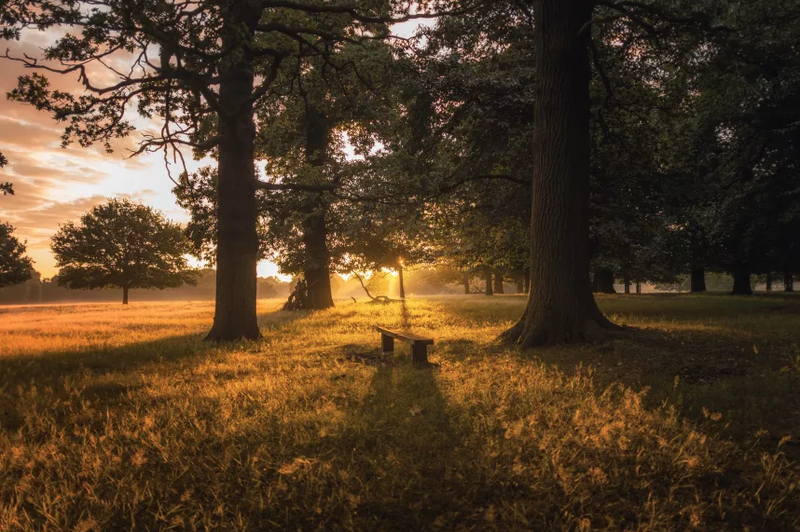 Restricting citizens’ freedom to access natural burial is bad for the environment, and could deter those who might have chosen this wilder option because it was cheaper than a traditional plot.